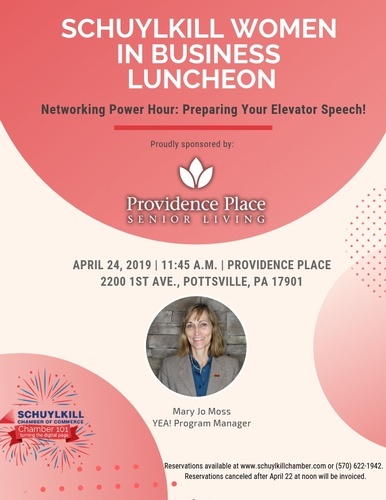 This month's Schuylkill Women in Business luncheon is sponsored and hosted by Providence Place. The mission of Schuylkill Women in Business is to create an environment where women inspire women to achieve success in business through education, networking and building relationships. *Cancellations made after noon on Monday, April 22, will be invoiced.